This app seeks to eliminate time and energy wasted in supermarkets. 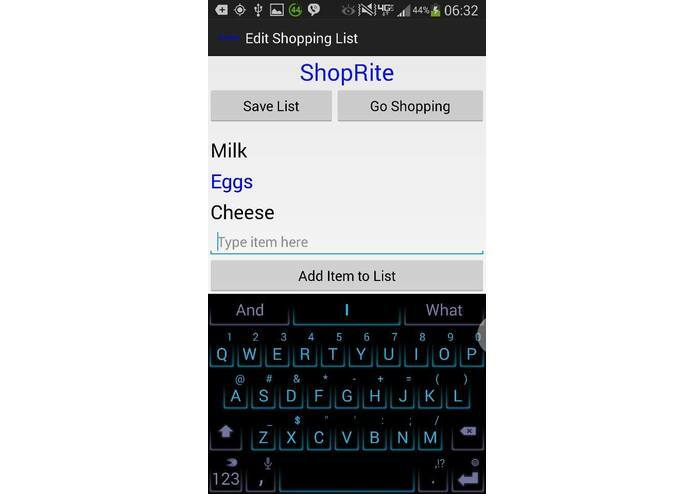 Shopder allows consumers to enter their shopping list(s) into either their Android or iOS device. Consumers can also add items to their shopping list by taking a picture of the bar code of a product on either their Android or Google Glass device. 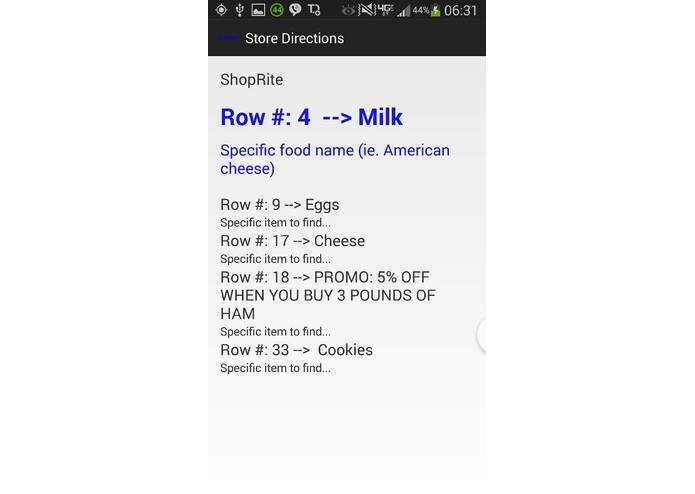 Shopping lists are then stored in a centralized database on a server. When the consumer chooses a store, the server matches the items on the consumer’s shopping list with aisle numbers of that type of product in the store. Aisle numbers and their respective products are then sorted in sequential order so that the shopper only has to move in one direction and knows exactly where to go to for each of the items. 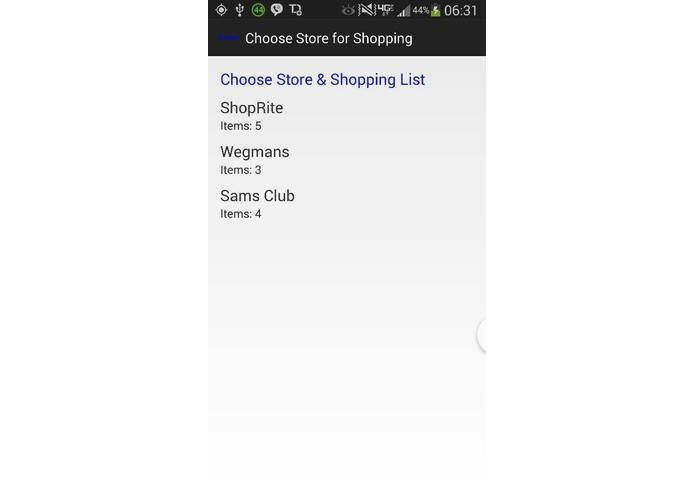 The sorted lists are accessible by the consumer’s Google Glass and Android or iOS device. 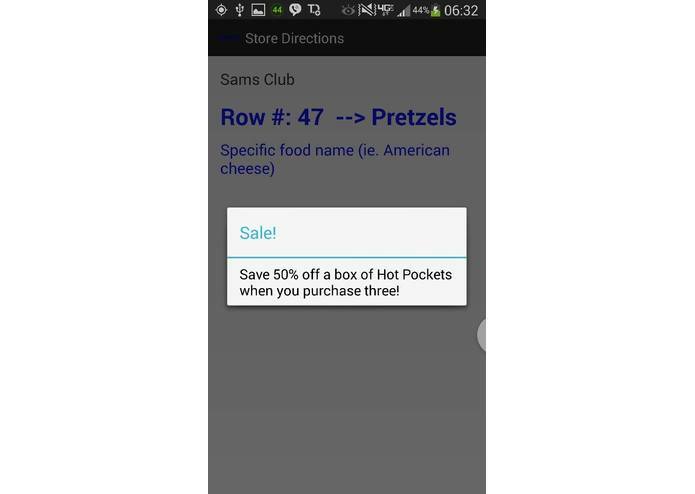 Stores can use this opportunity to push promotions to the customer based upon the products the customer is buying and the aisles they are visiting. For example, if the customer is buying a lot of desserts, the store can send the customer promotions for desserts as it can be assumed that the customer is shopping for a party. Promotion Example: Get 15% off the 4th bag of Dominoe’s Sugar in a purchase of 4 bags of Dominoe's Sugar.